The Welding Wand - It's Magic! 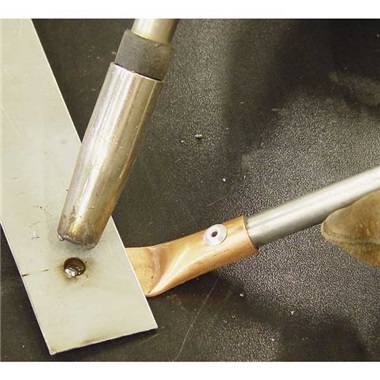 This unique tool is used for mig welding small holes in metal. Place copper end of wand under hole, mig weld then remove. Hole filled. Copper end of wand dissipates heat and won't stick to weld. 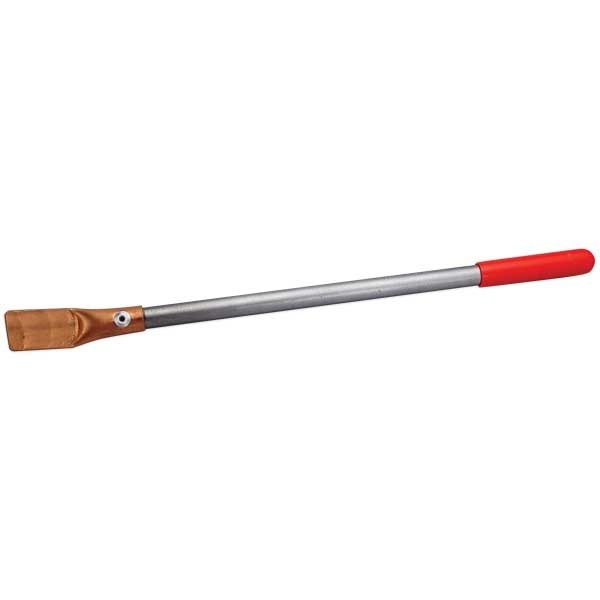 14" long, 7/8" wide x 1-5/8" wand end.